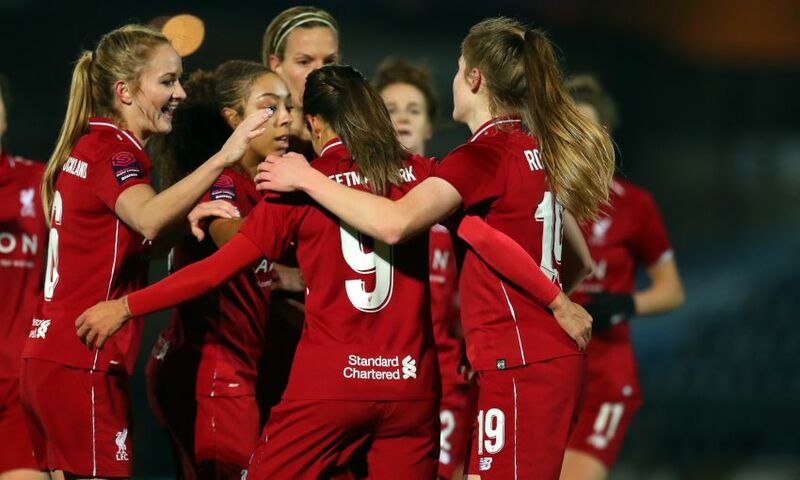 Courtney Sweetman-Kirk’s last-minute strike got Liverpool FC Women back to winning ways with a 2-1 victory away at Yeovil Town Ladies on Sunday. The No.9 sealed a double, having also slotted home a penalty, to help Vicky Jepson’s side claim a vital three points in the Women’s Super League. The Reds started brightly and Christie Murray went close with a free-kick from 25 yards that was superbly kept out by Meghan Walsh. On 25 minutes, Liverpool were awarded a penalty; winger Yana Daniels was brought down by Walsh, and Sweetman-Kirk duly stepped up to make no mistake for the opening goal. Six minutes into the second half, though, the home side were back on level terms as Emily Donovan pounced to make it 1-1. The Reds pushed forward in search of a winner and Jess Clarke was twice denied after finding a way through the Yeovil defence. Substitute Leandra Little thought she had scored two minutes from time but her effort was brilliantly kept out by Walsh. However, with time almost up, Sweetman-Kirk pounced to net the second goal Jepson’s side undoubtedly deserved. Liverpool FC Women: Preuss, S. Murray, Robe, Matthews, Rodgers (Little, 82), Bradley-Auckland, Clarke, Coombs, Sweetman-Kirk, C. Murray (Fahey, 78), Daniels (Jhamat, 60).